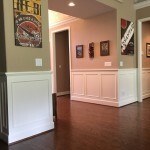 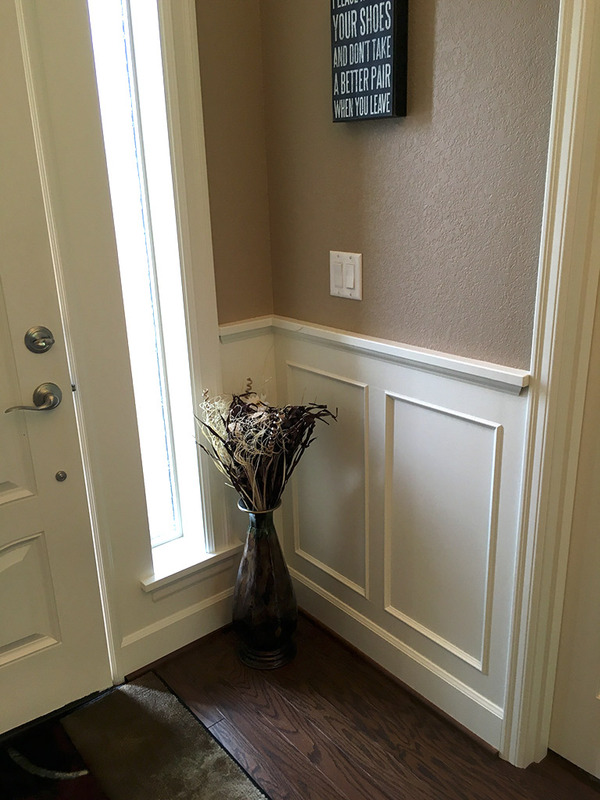 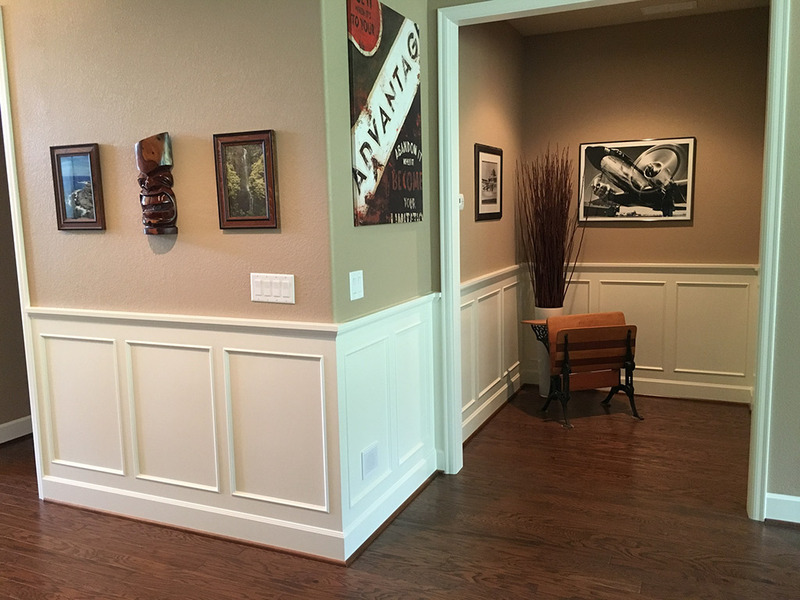 We added paneled wainscoting to the long entry hall of this single level home. 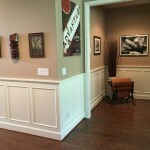 It helped break up the tall ceilings and created a lot of visual interest and contrast. 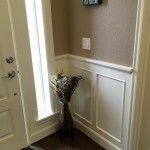 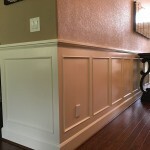 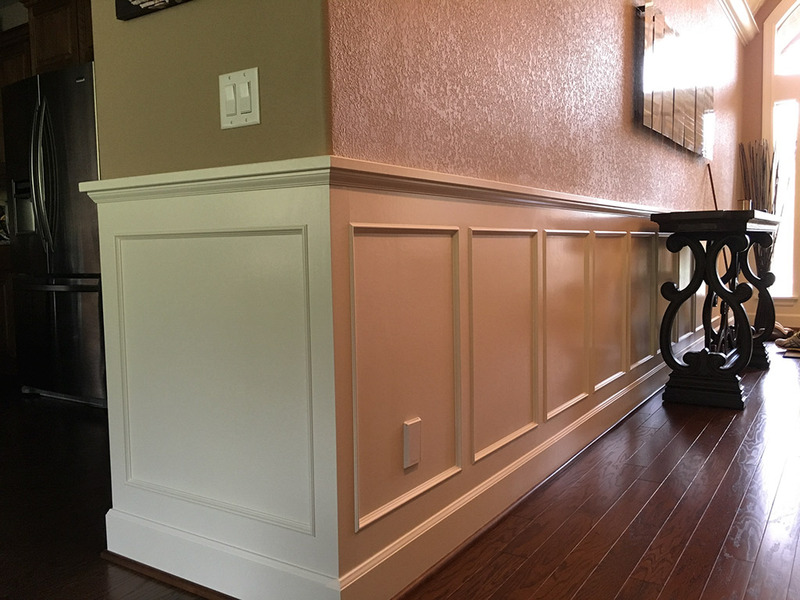 Paneled wainscoting looks best when it’s done correctly and not on the cheap. 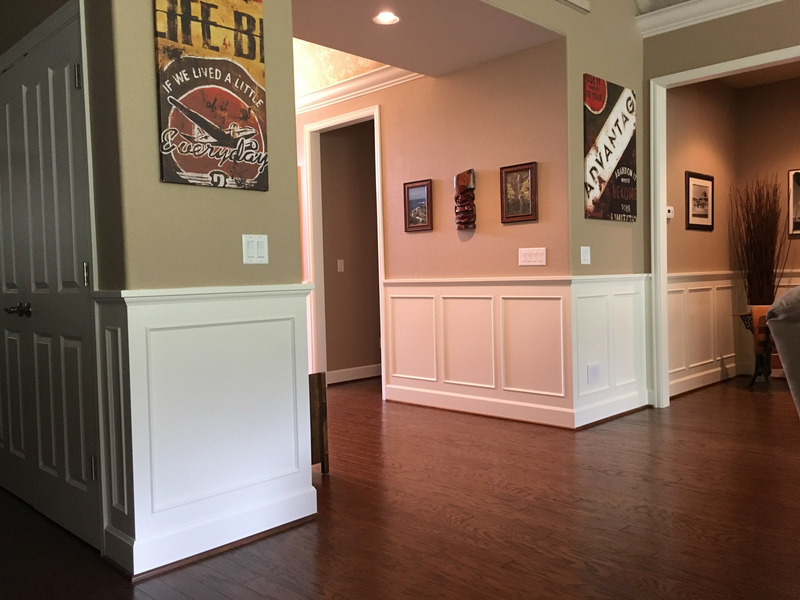 Using true rail and stile construction, removing the sheetrock or plaster to get the elevations right and good proportional design with thoughtful details all combine for stunning results.